From the time I was thirteen, I knew I wanted to be an author, and at that age, it seemed like such a reasonable dream. It’s a hard one to obtain, though. I went to college as an English major, despite people encouraging me to take up journalism or something that might actually be useful. I was going to be an author – why would I need to pursue anything else? You know, anything practical. Then somewhere around my junior year in college, reality set in. By then, I’d found my university’s writing program and an excellent fiction workshop, run by my friend Ari. I think, if it weren’t for Ari’s workshops, I never would have been able to see the level of improvement that I’ve noticed in my fiction. Yes, I have good proofreading and editing skills – inherited from my proofreader mother – but my fiction was not worth reading until I experienced some first-hand criticism. One aspect of the workshop was getting a story publication-ready. And Ari made no bones about the difficulties of publishing. It’s a cruel world, where editors who have bad days arbitrarily consign authors to the slush pile, no matter the worth of their stories. That’s why a group of us started our own literary journal, Fiction Fix, which is still going strong today. But as much as my editing credentials with Fiction Fix have done for me, they haven’t done anything for me in the greater world of novel publication. The real world impeded on my dream to the point that I all but forgot it at times. After having my first child, I not only took a long hiatus from Fiction Fix, but I basically quit caring about writing for a while. Three straight years of rejection from literary agents can do that to you, and falling in love with my newborn son made my career-of-choice pale in comparison. But the dream did not die, and I returned to my stories, often becoming lost in them for weeks or months before getting burnt out again. And then I decided that I would branch out and just get whatever kind of freelance work I could find. As long as I could have some sort of income from writing, that’s what I always wanted, right? Well, not quite. I enjoy writing and editing, and I’m good at what I do, but the problem with freelancing is that it’s easy to get wrapped up in the assignments and forget the joy that I initially had when I just wrote stories all the time. And I am spoiled by having a husband whose job allows me the flexibility to write what I want to write. So why haven’t I been doing just that? When I participated in NaNoWriMo this year, forcing myself to almost write full-time – and on a project with no guaranteed paycheck at the end – I finally fulfilled a little bit of my teenage dream. Never have I spent so much concentrated time writing, and never have I enjoyed it so much. This is what I had in mind (although being paid to do it would certainly be ideal). I also regained some of that hope of someday writing a novel that people would pay to read. I had a lot of that hope when I was in college, before the harshness of life and the publication world fully set in. But after a while, I started to wonder why I kept trying if no one wanted to give me the time of day. And I was frustrated that I got older and still had nothing to show for all the stories I’d written. But the problem is that if I don’t submit, if I don’t get up every time I’m rejected and try again, no one’s just going to knock on my door and ask if I have a book that I would like to publish. This is not a New Year’s resolution, first of all because it’s been in the works since November. But more than that, I’m not changing my ways, only to revert back to old habits within a few weeks. Rather, I hope that my rediscovered passion will give me that push to make this year the most productive I’ve ever been, as far as writing fiction is concerned. I’m already looking at contests and searching for new agents. 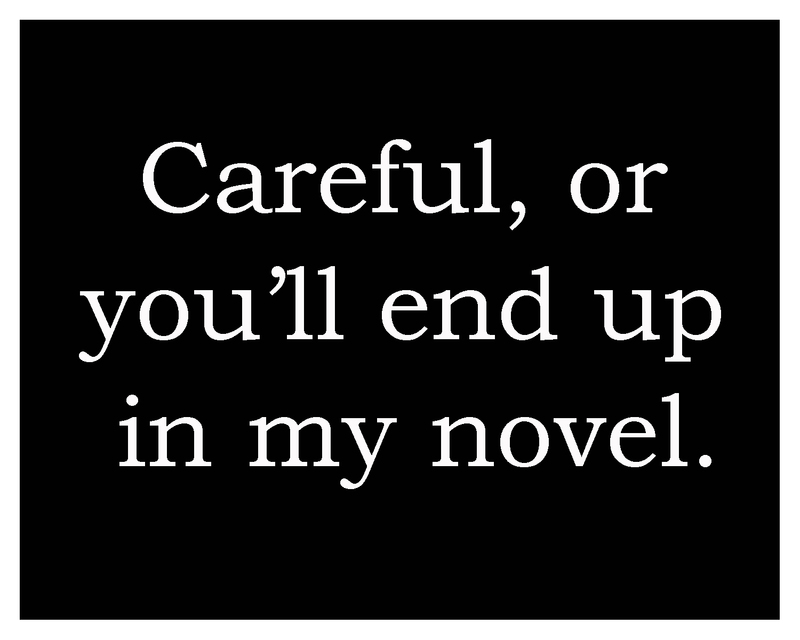 I’m still working on the first draft of the novel I started with NaNoWriMo. And I’m determined not to lose my enthusiasm this time. One day you’ll see me in print. And maybe – just maybe – it will be sooner rather than later. This entry was posted in Writing and tagged Authors, Dreams, Freelance Writing, NaNoWriMo, Publication, Writing. I’m glad NaNoWriMo was so good for you. I hope you can find a way to just write for the pure joy of it. It’s hard to work out a way to be creative and still manage, somehow, to make a living. That need to make a living can squash all the creativity out of you. Motherhood, of course, is huge. It is creative and it can use up all the creative energy you have, for a while. You amaze me with your ability to balance all of the demands on your time. I know it’s not easy. I’m wishing you a fabulously creative 2014. Thanks–everything you said is so true. I wish you luck in your creative endeavors, as well.